Over the weekend, I headed back to Fabric Depot with Melissa and purchased more cotton lawn that I had spied earlier. It's a pretty blue paisley floral print from the Moda Regent Street line. 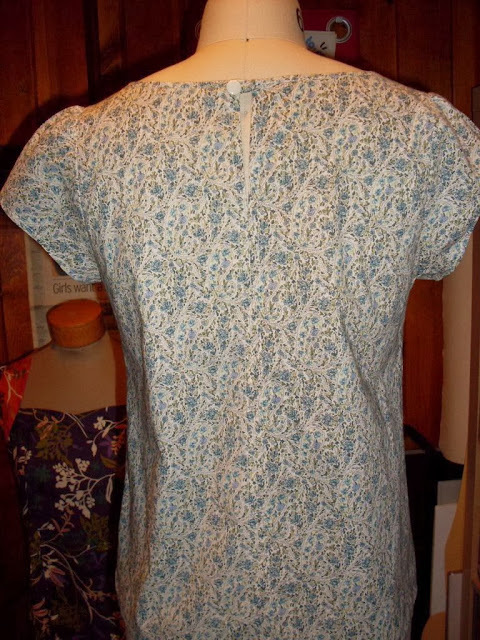 This blouse pattern is another one from the untitled Japanese pattern book and it's a definite keeper. 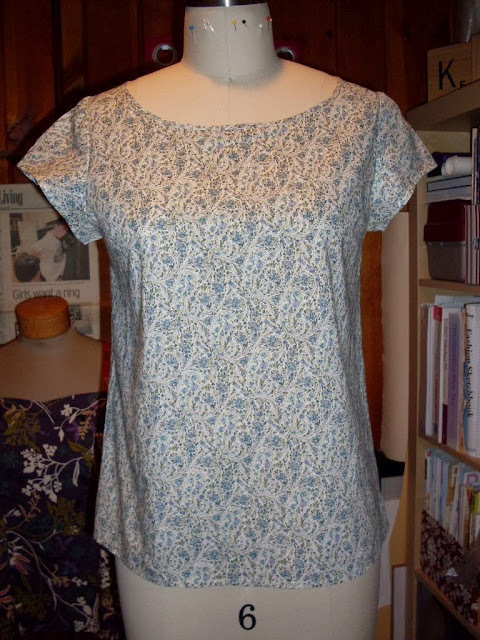 I can see making several of these in light cotton fabrics. 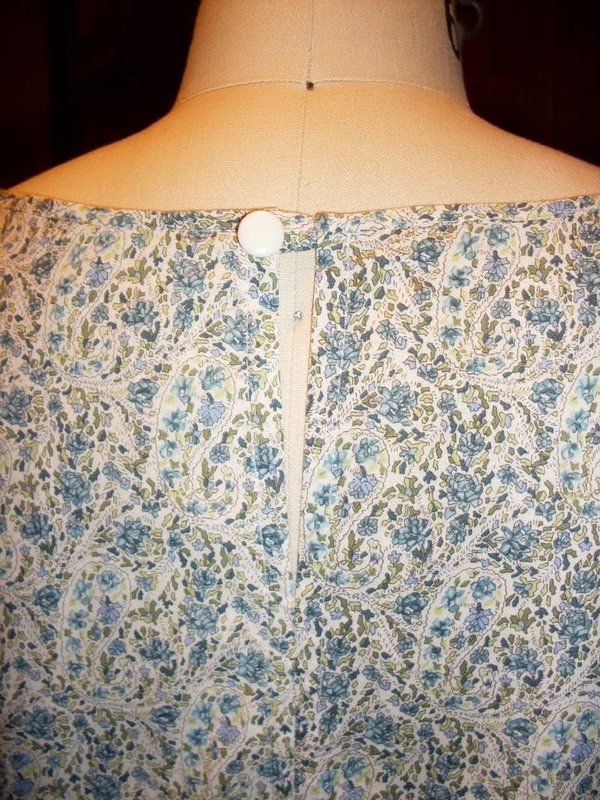 It's basically a t-shirt style blouse with a button closure at the back neck and some minimal gathering at the sleeve caps. 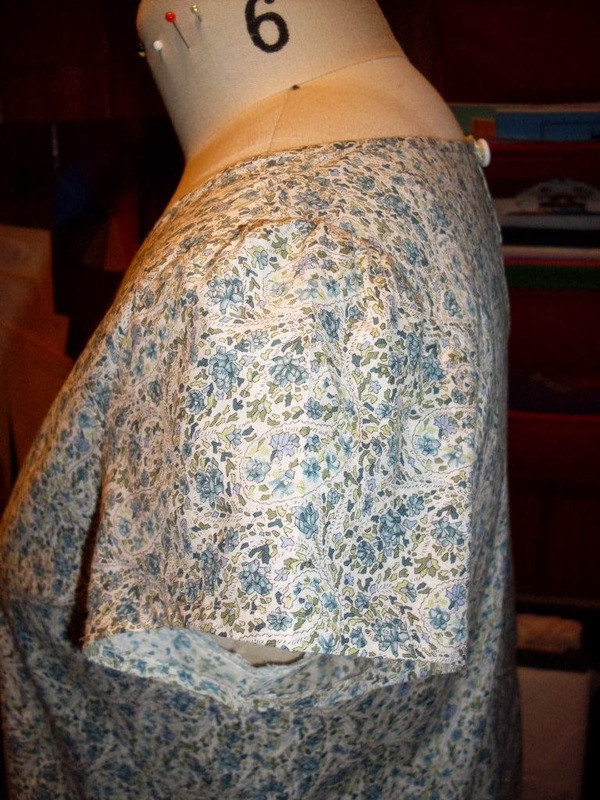 This blouse fits perfectly, but next time I'll add a little more ease. I love how it turned out!